The price is comparable to that of competitors. Now with Wi-Fi, it's easy to monitor on your smartphone. It's more compact and more powerful than its predecessor. The power cord is short and thick. Cooking this way is a slow process. There's a steep learning curve; you'll need to master how to get the air out of the plastic bag and how to sear the meat afterward. 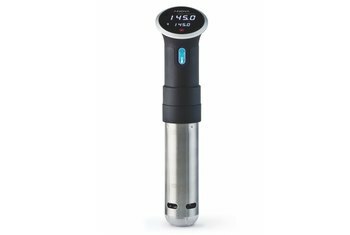 Nomiku is out with its second-generation sous vide immersion circulator. The biggest improvement is the addition of Wi-Fi, making the device easier to use. 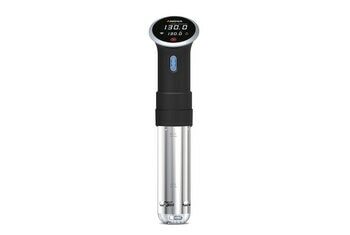 With the compatible Tender app, you can monitor the temperature and adjust it remotely. You can also access and share recipes. The clamp now clips to the front of the container instead of the back, so you don’t have to risk getting hit with steam when leaning over the pot. 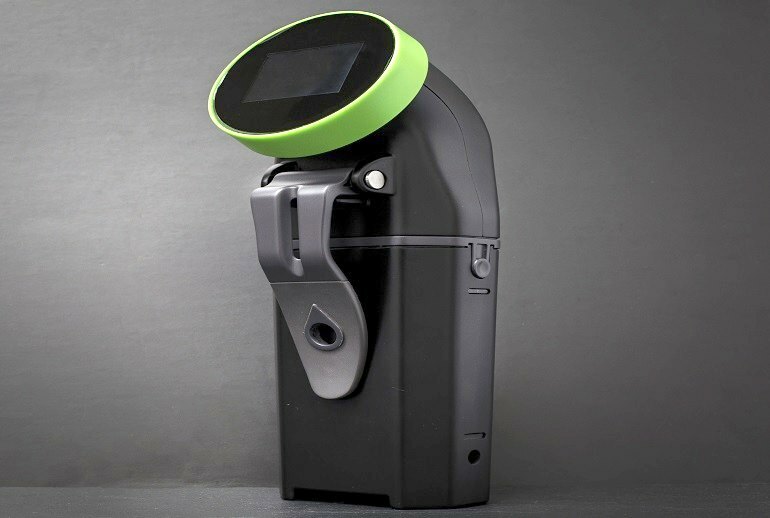 The New WiFi Nomiku is more compact than its predecessor, so you need only 1.5 inches of water at minimum rather than 3.5 inches, and it is more powerful at 1200 watts. Setting up the WiFi Nomiku initially was challenging. we couldn’t get it to connect to our regular network, only the guest network. The controls took a little getting used to and were a little cumbersome with the configuration. Once we got it figured out though and the wifi feature connected, we were smooth sailing. 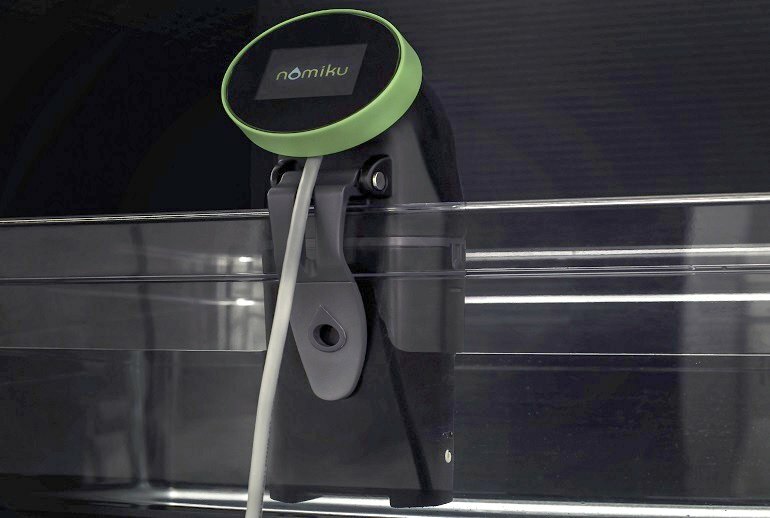 Thanks to a Wi-Fi connection, the device can now be controlled remotely and recipes can be browsed, shared and tested more easily using the accompanying smartphone app. The base of the circulator is removable, too, to make cleaning easier, and the whole thing is smaller. What's amazing is that, despite the fact that it’s considerably more advanced than the original, it’s also quite a bit cheaper. 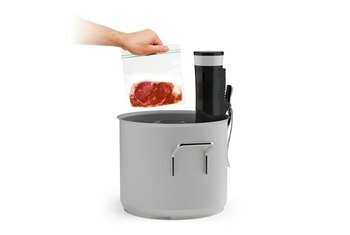 For the Nomiku, as with other household-geared sous-vide machines, any zip bag will do, as long as the air is pressed out as well as possible. 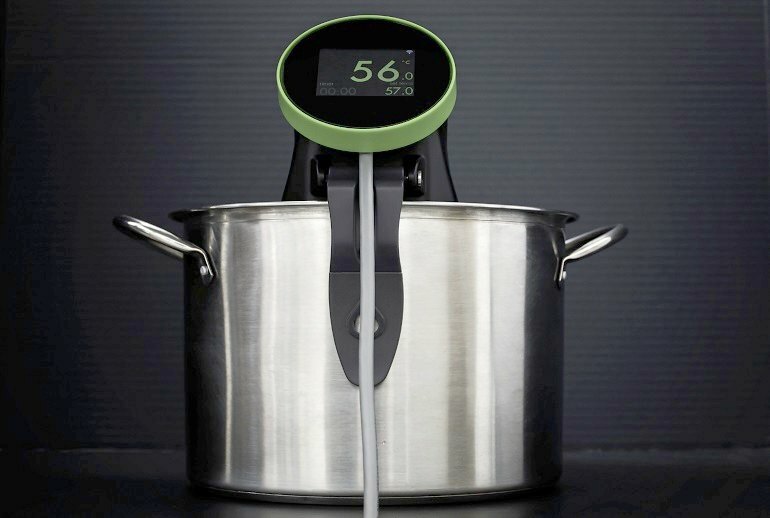 ... it means you can cook from afar, sending time and temperature commands from any WiFi-connected device and checking on the cooking progress. 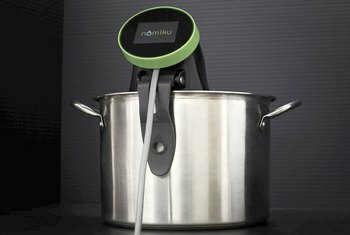 Nomiku will also send safety alerts as needed, which may help to ease fears about leaving the stove on while you're not home.